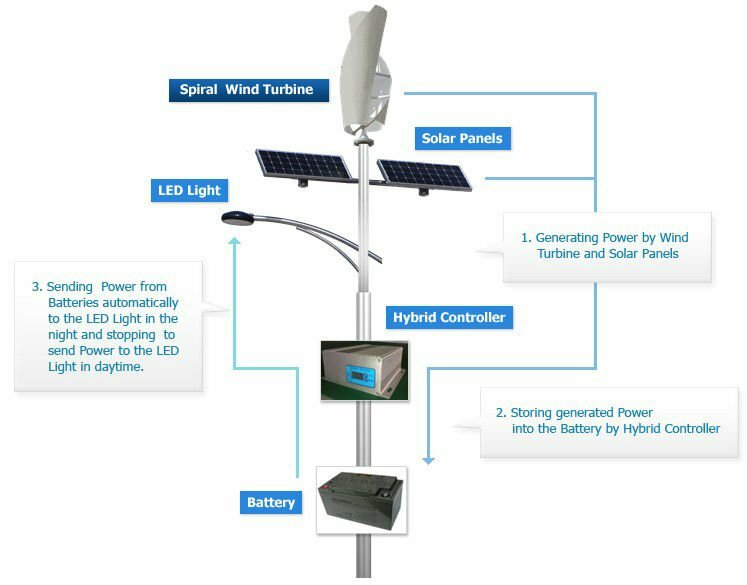 The product is an integrated system with wind and/or solar energy source, smart controller and LED lighting.The electricity is from wind and/or solar energy hybrid system without any conventional energy consumption ensuring the energy source at any condition. 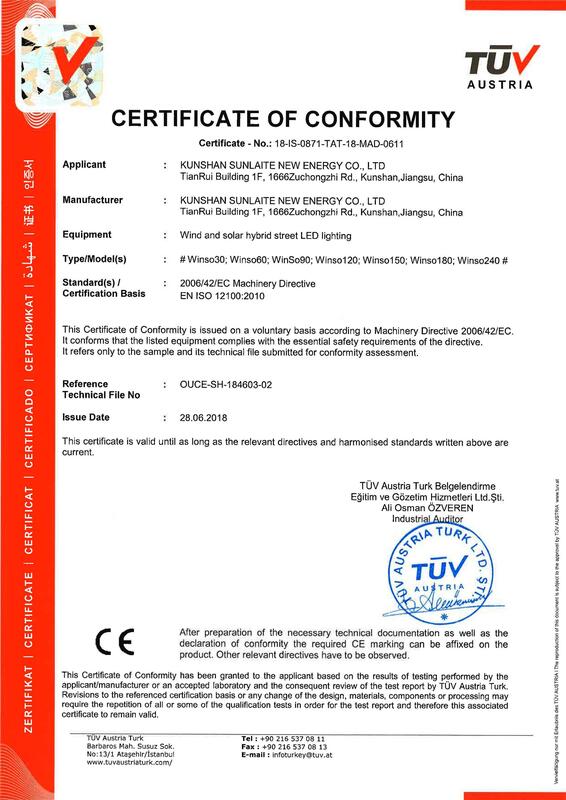 The system works using LED light with high brightness and long service life. The smart controller system uses multiple energy-saving circuit design to improve the luminous efficiency and has the capability of supervisory control and data acquisition. 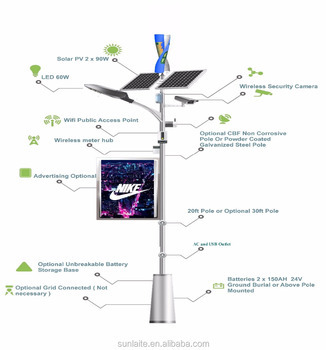 The product is convenient to install without the cable necessary for traditional streetlights. 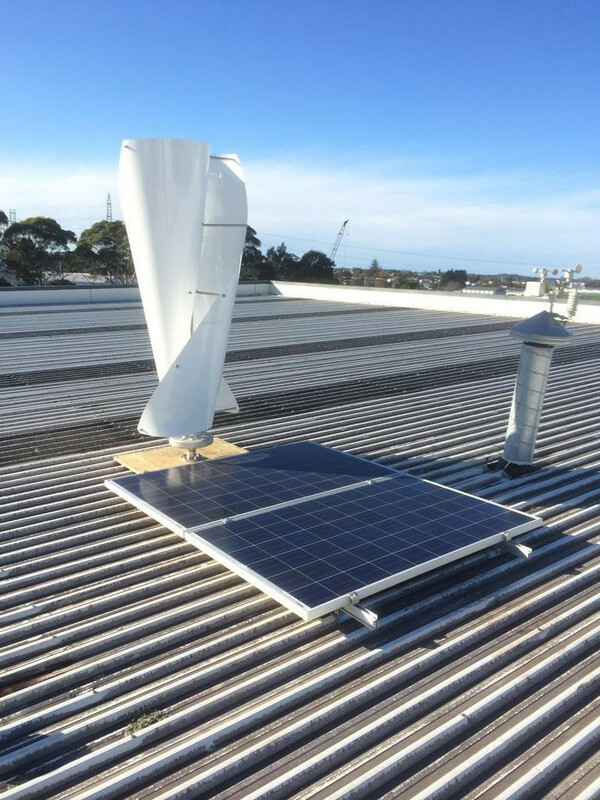 It has the low using and installation cost. 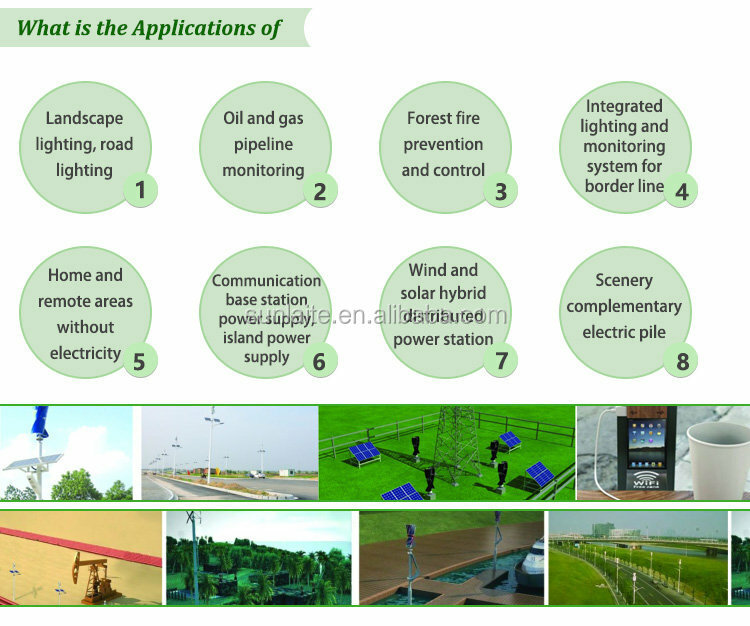 It can be widely used in fields such as the street, landscape, parks, garden, and other places. 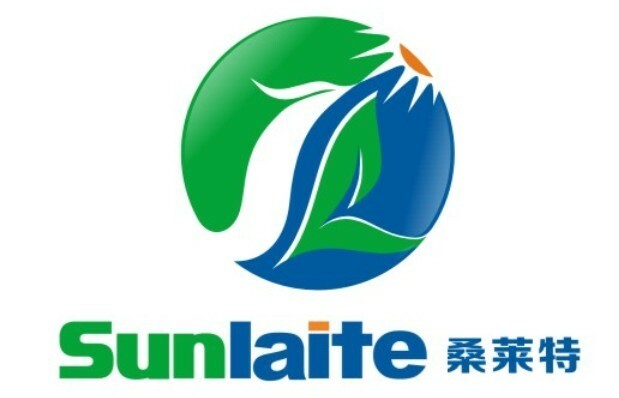 Kunshan Sunlaite New Energy Co., Ltd.